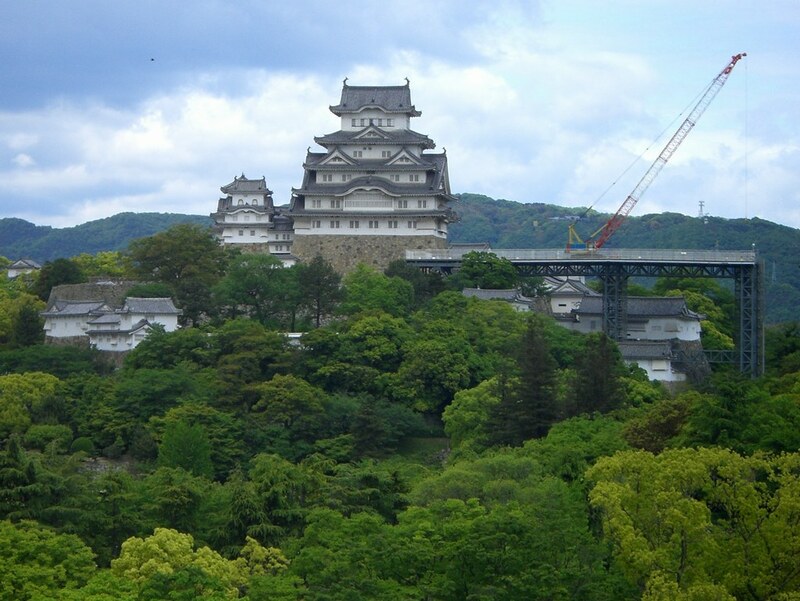 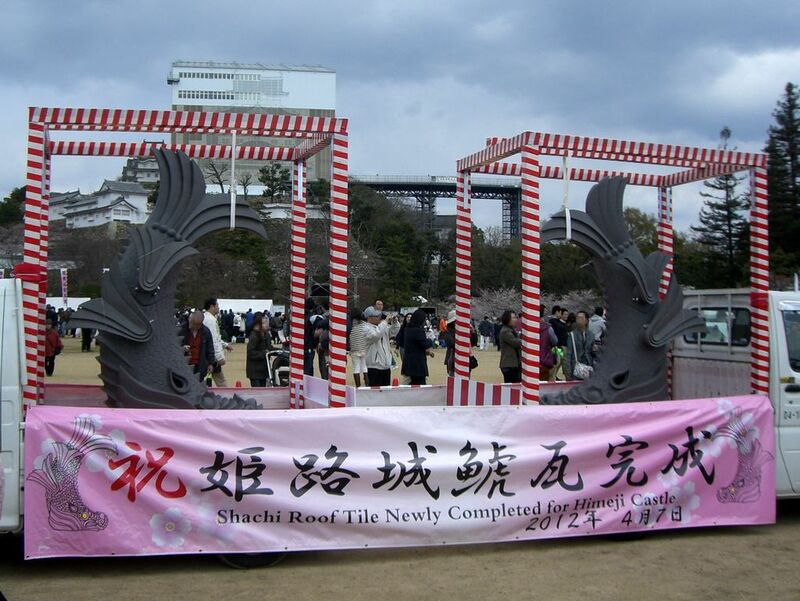 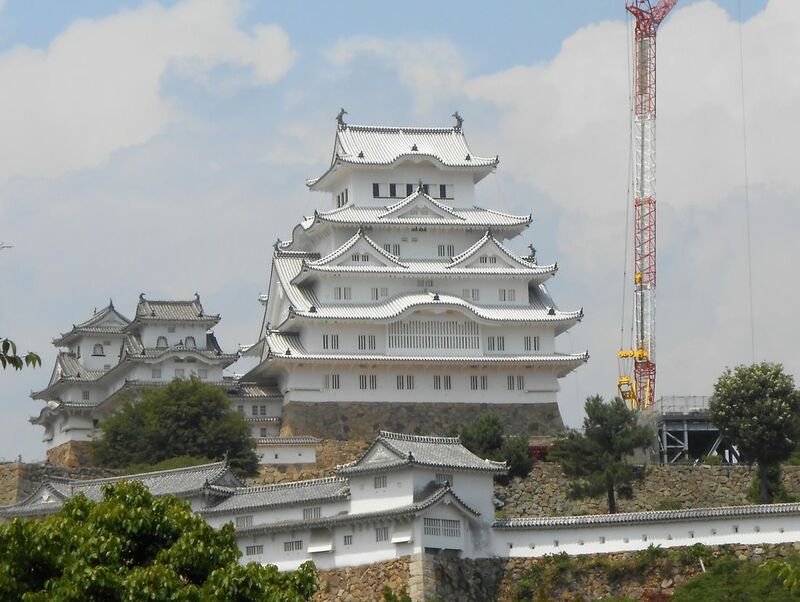 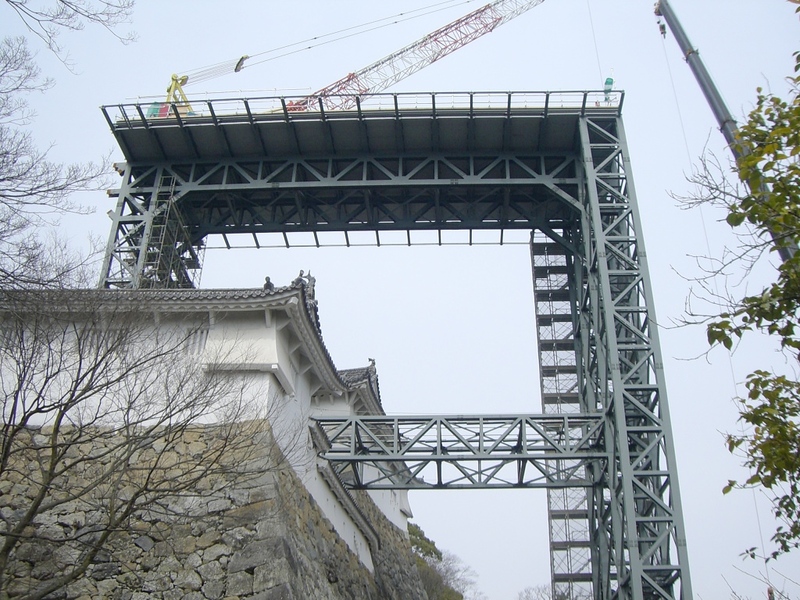 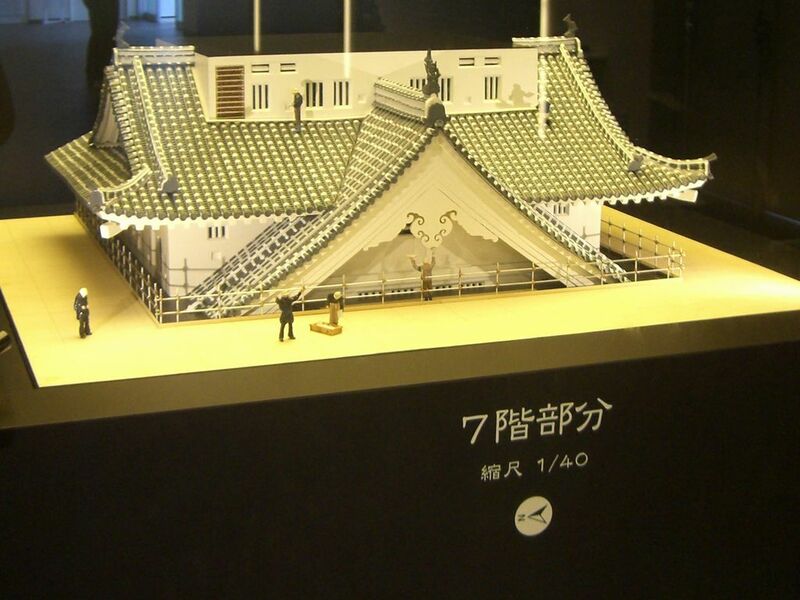 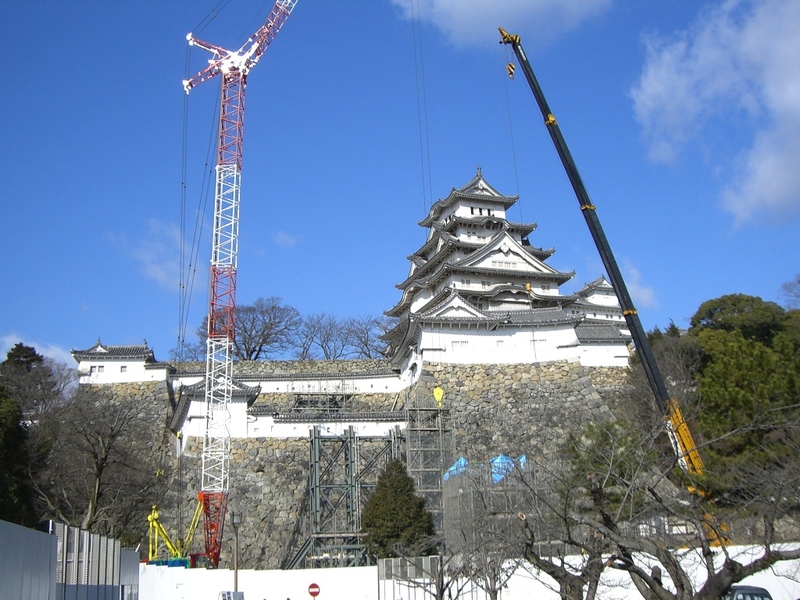 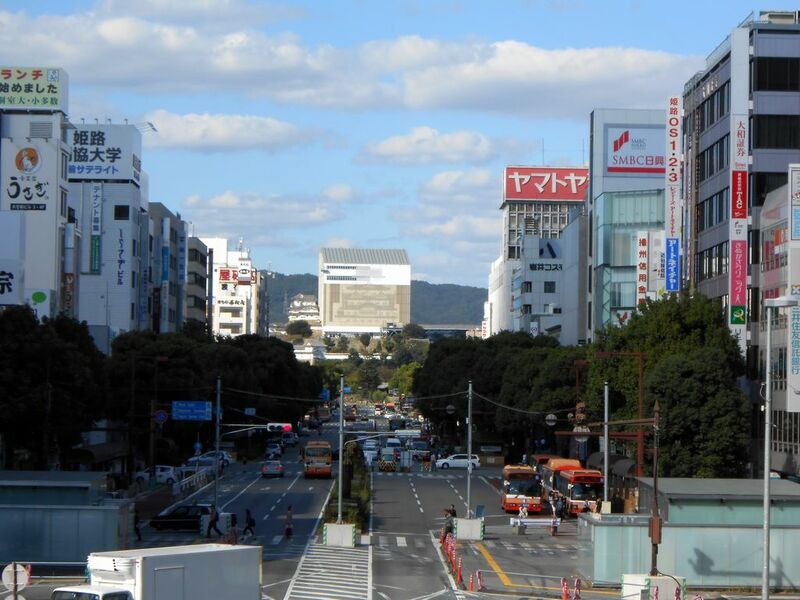 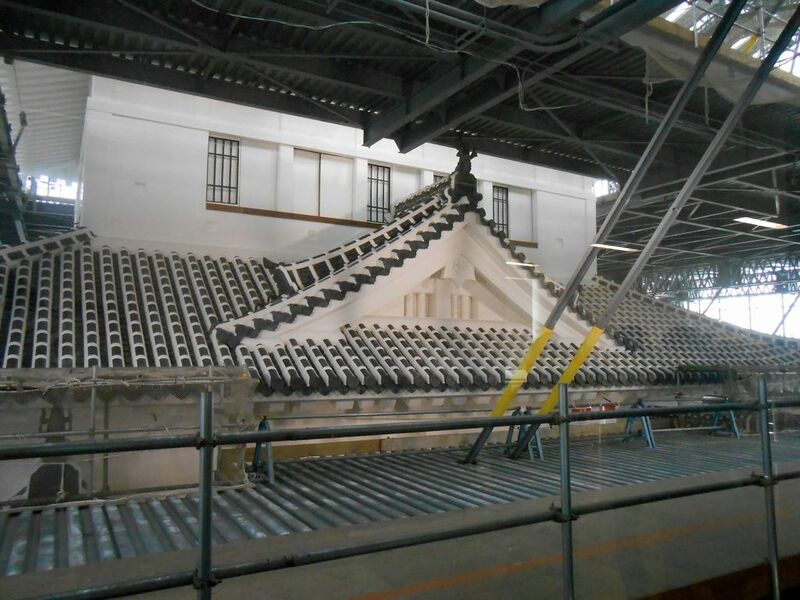 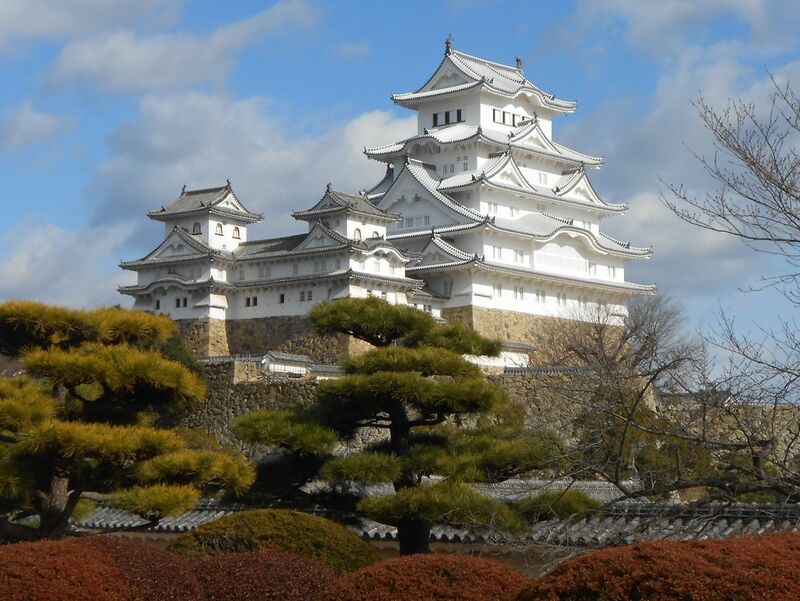 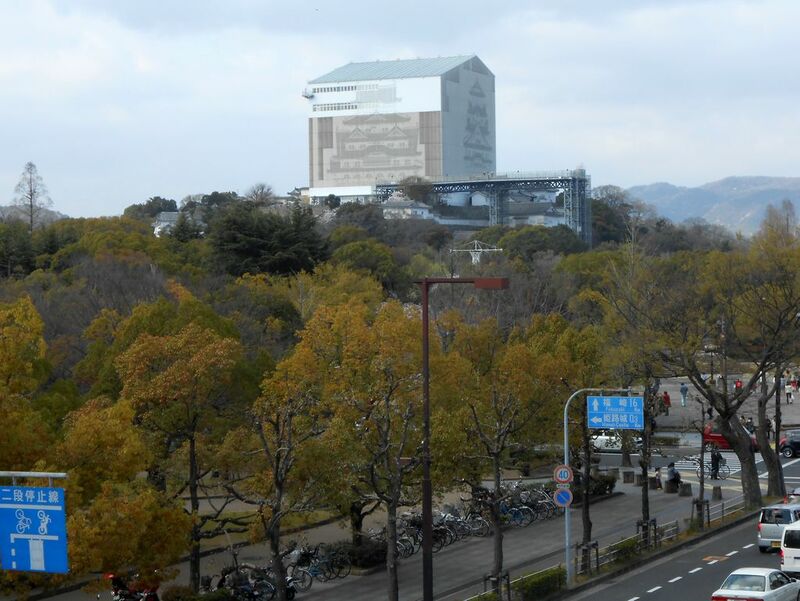 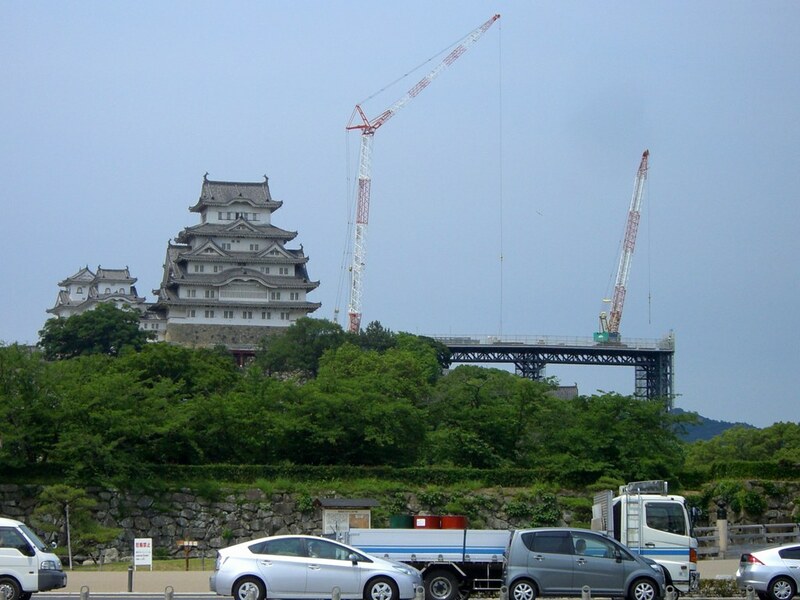 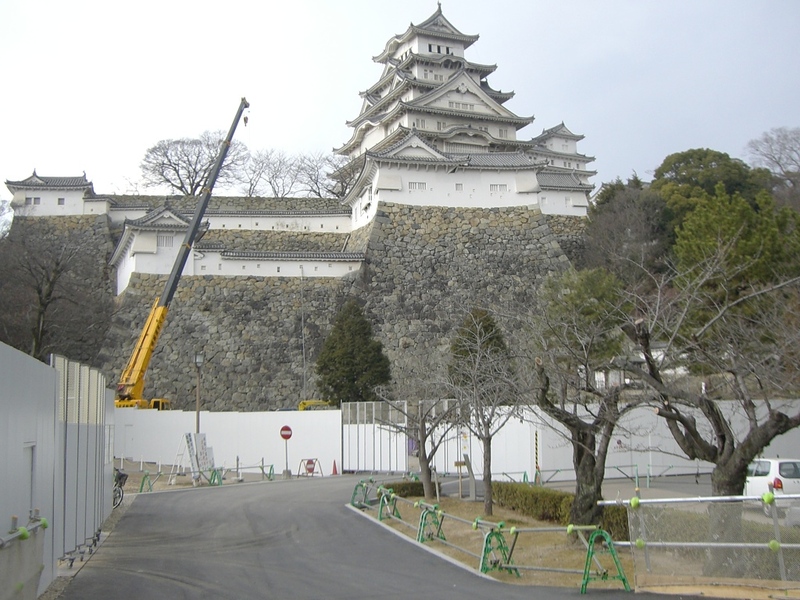 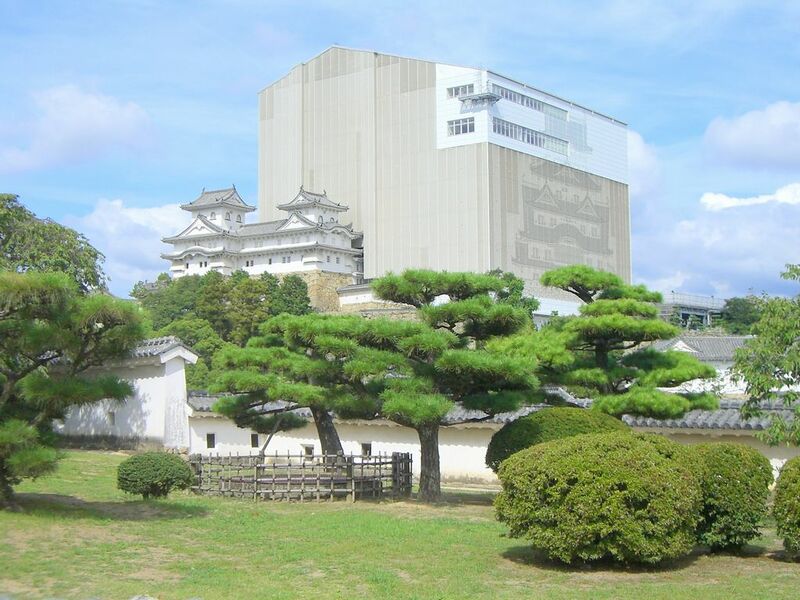 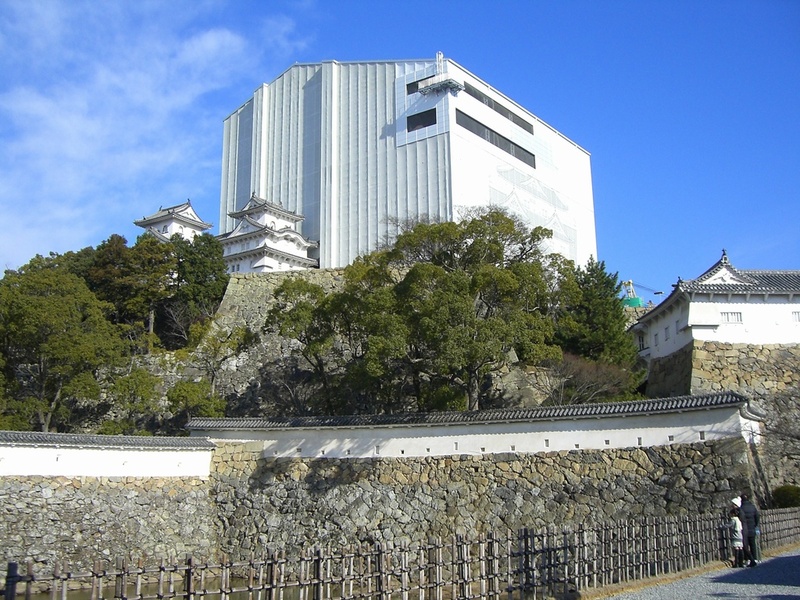 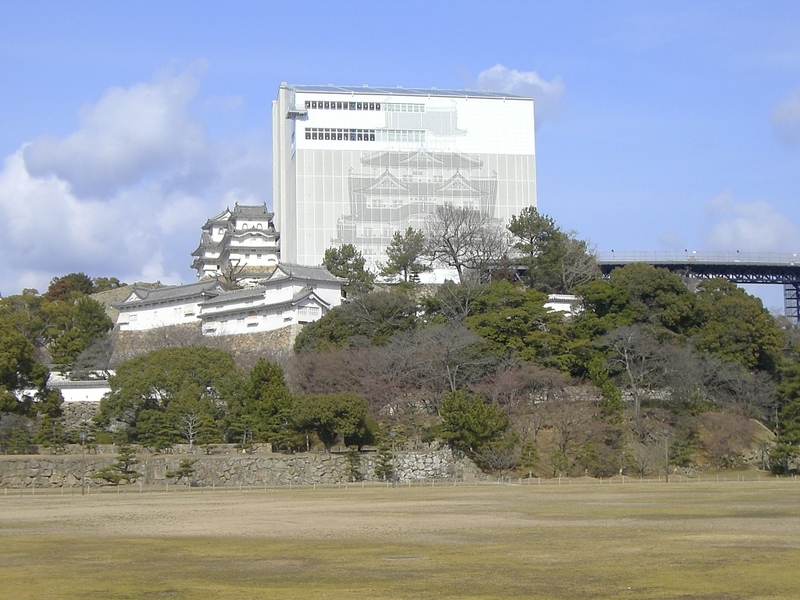 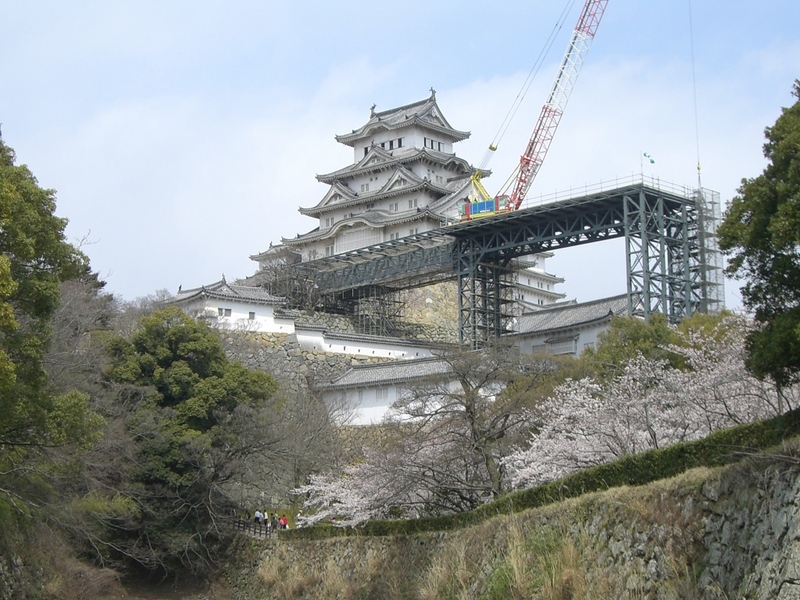 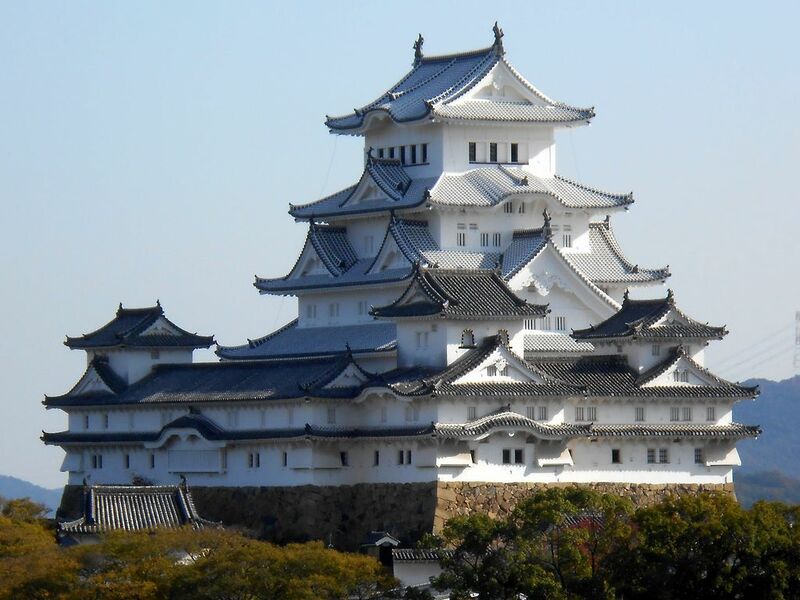 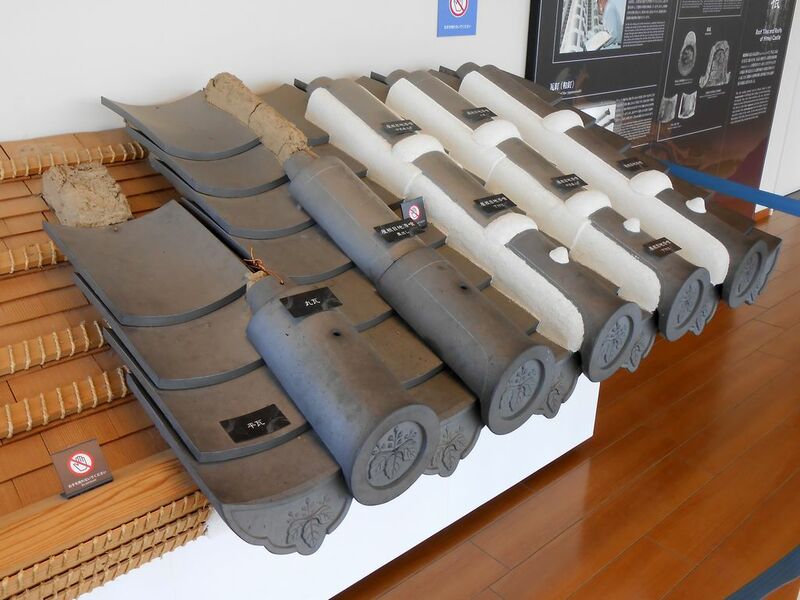 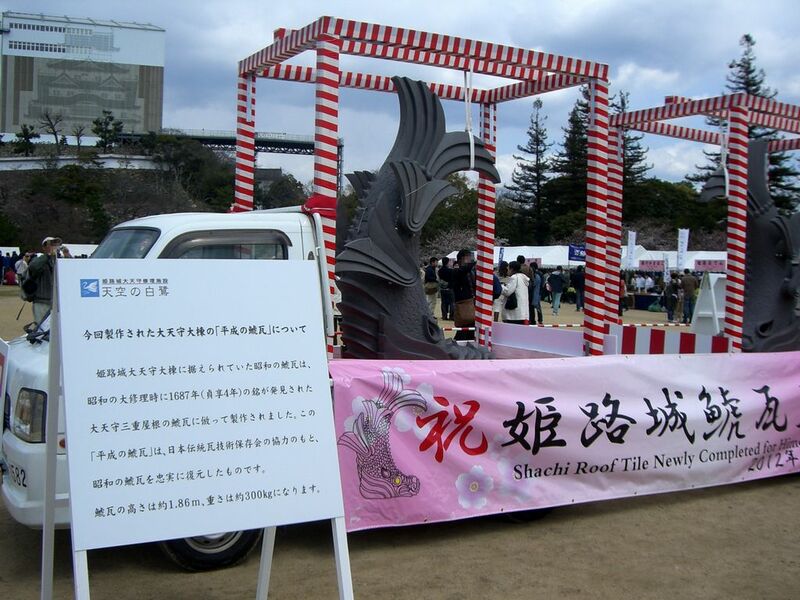 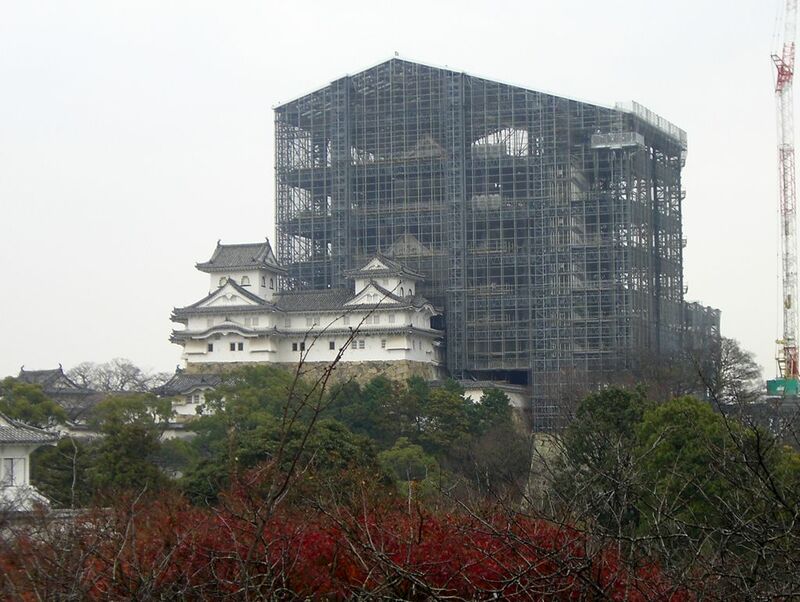 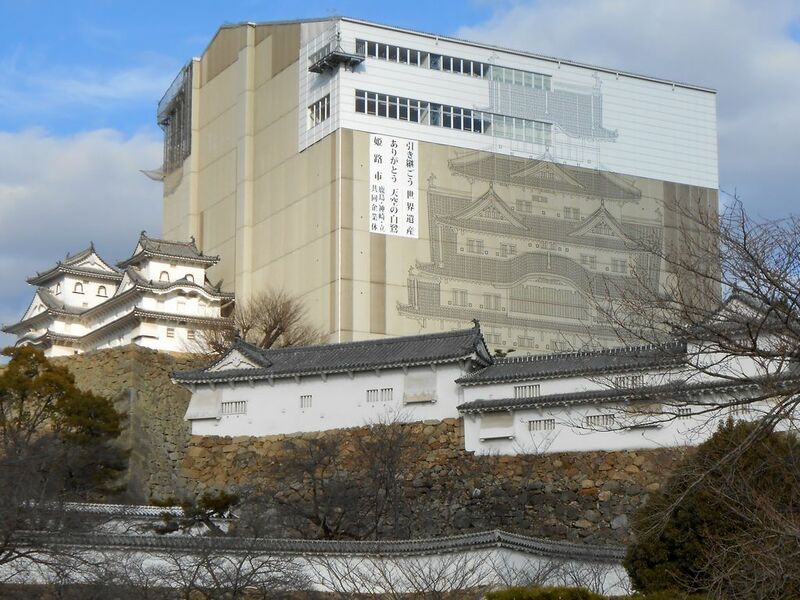 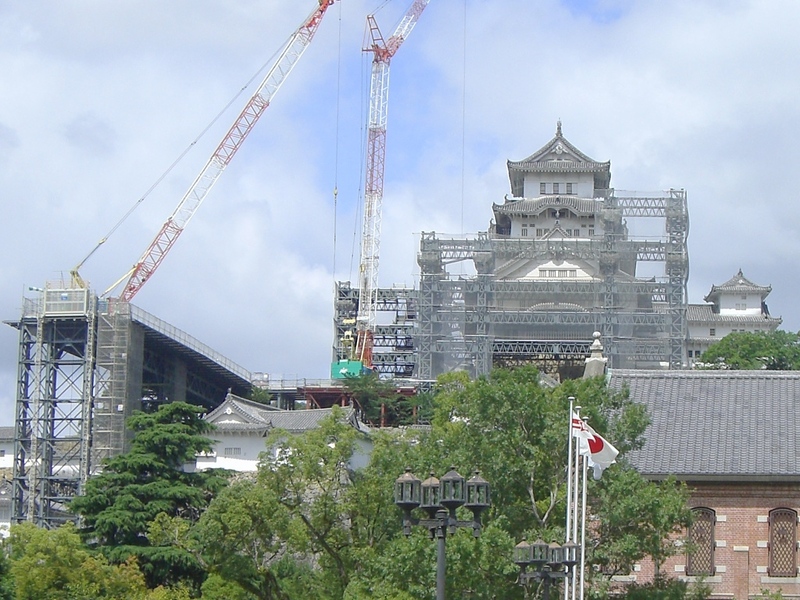 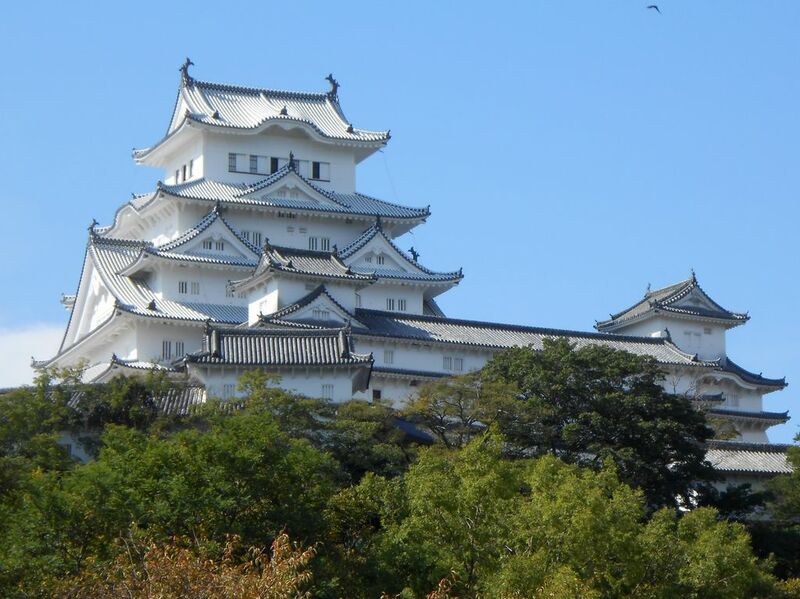 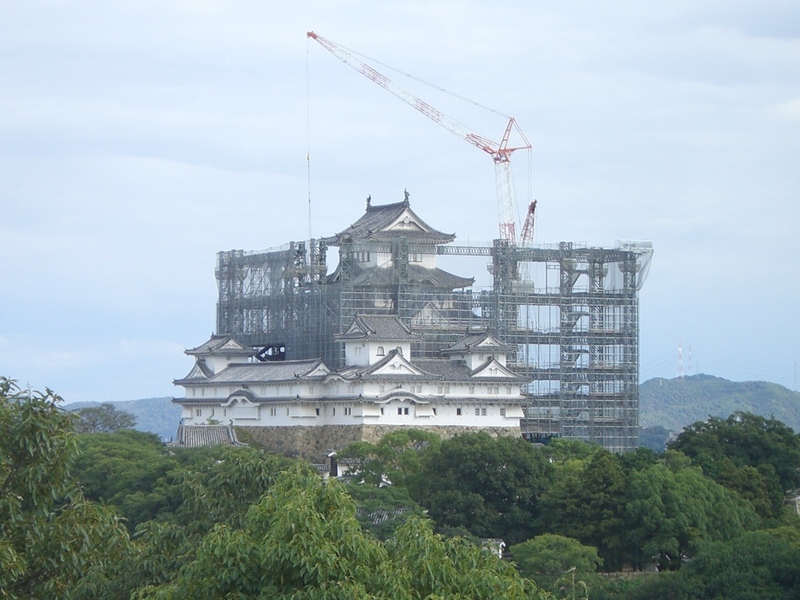 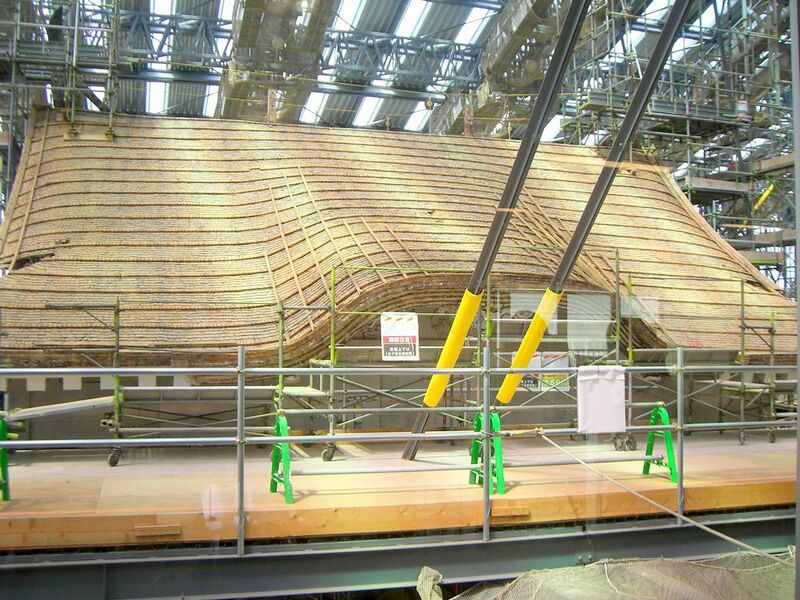 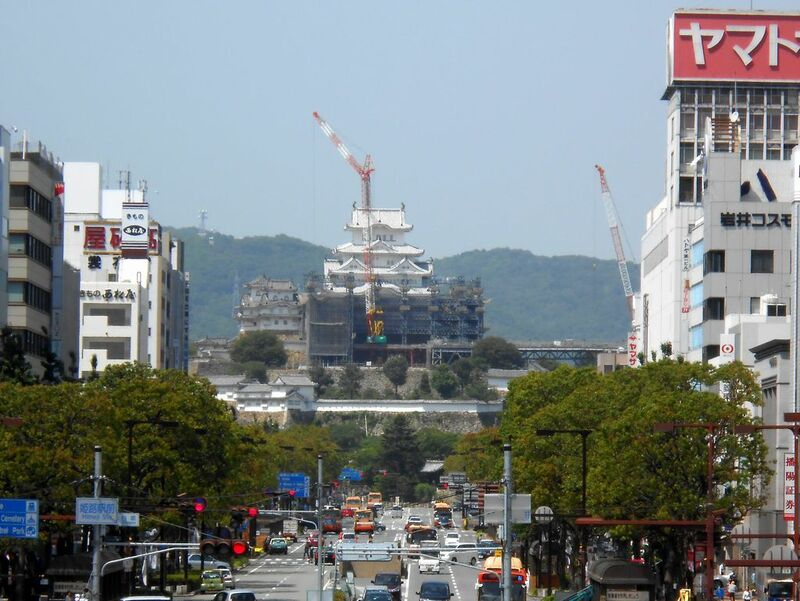 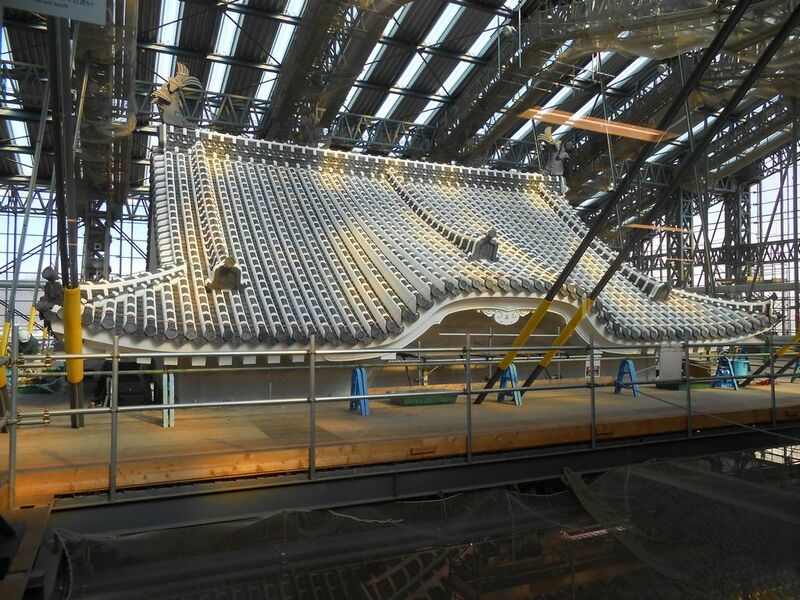 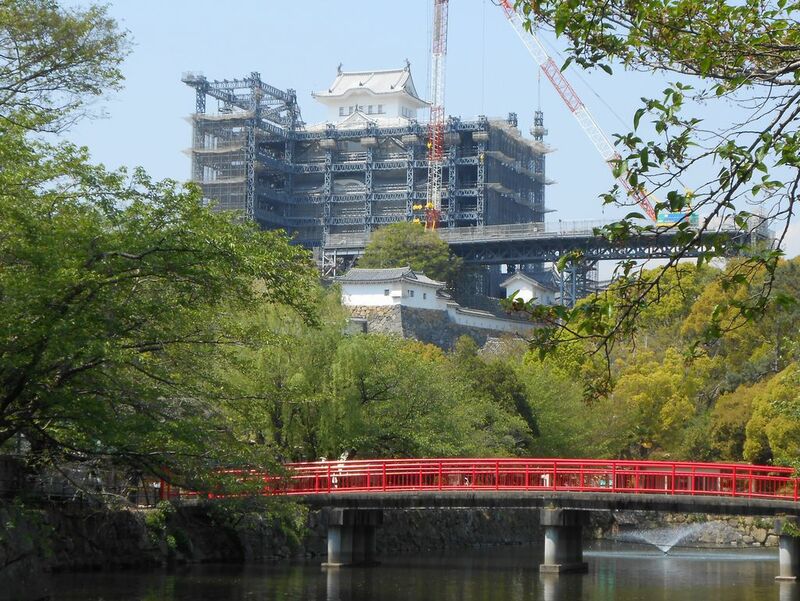 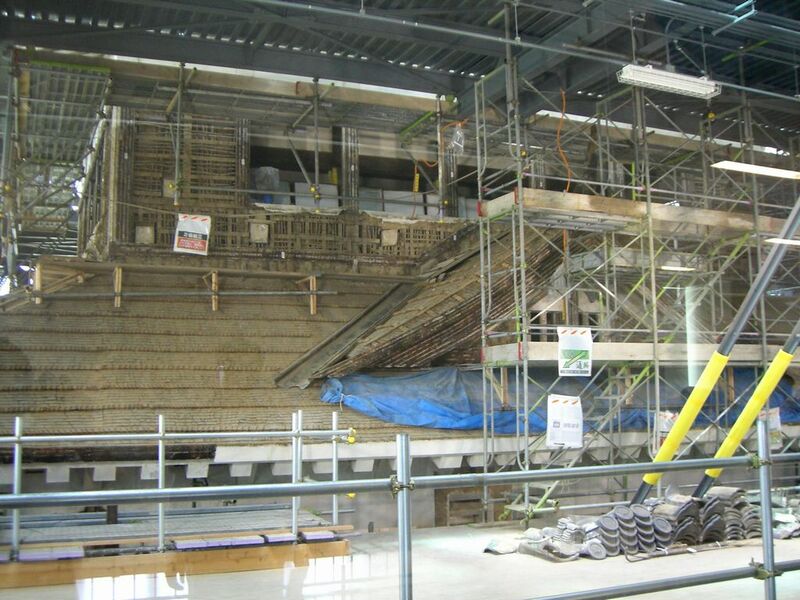 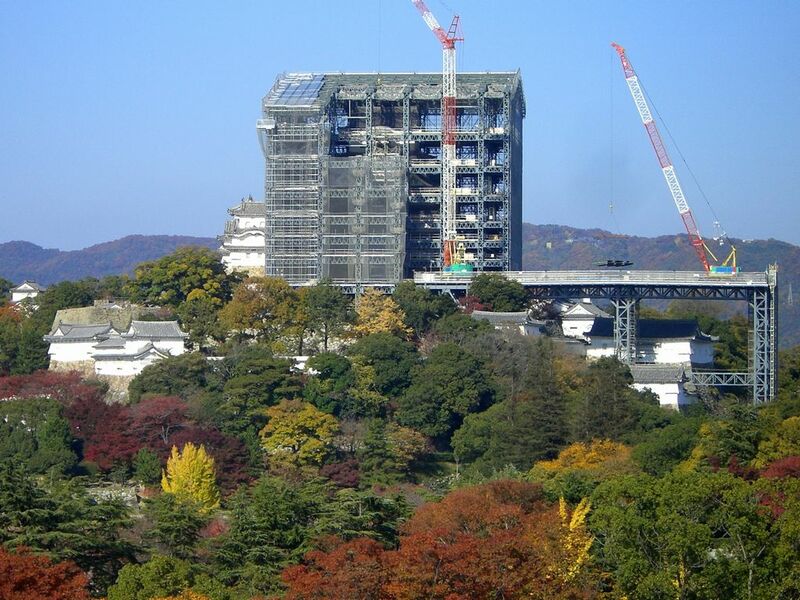 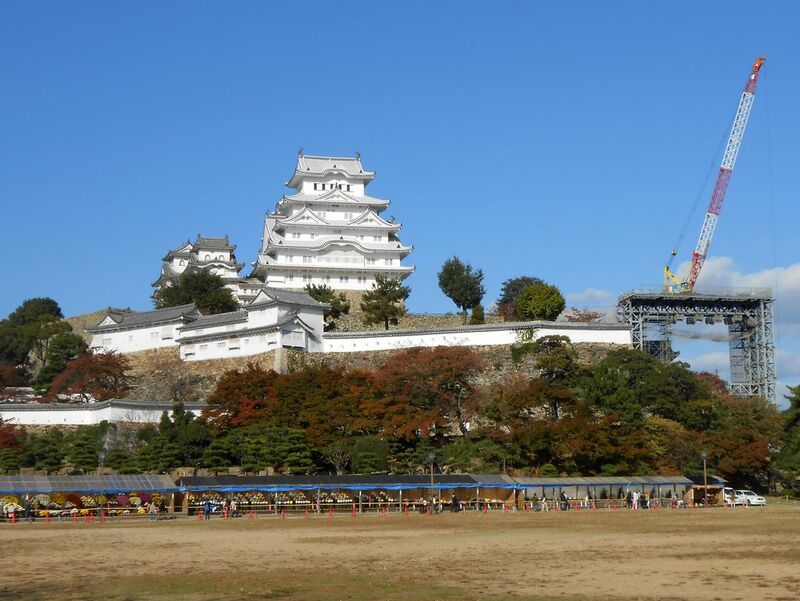 Himeji Castle main keep underwent its Heisei period restoration starting from 2009 with the aim of repairing especially its white plaster wall and roof tiles. 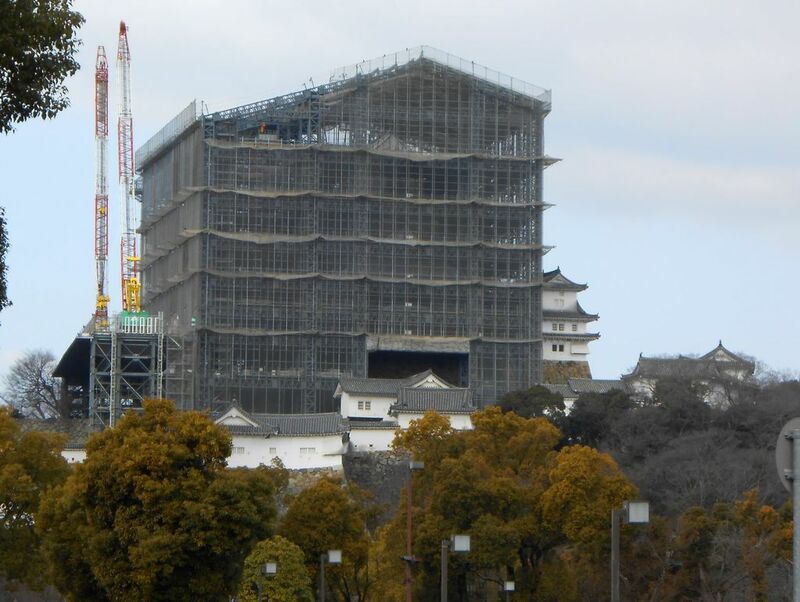 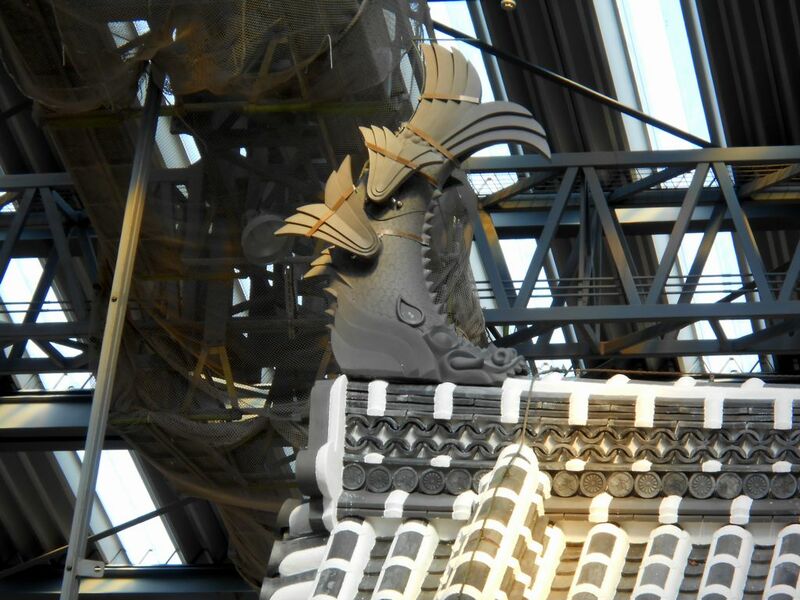 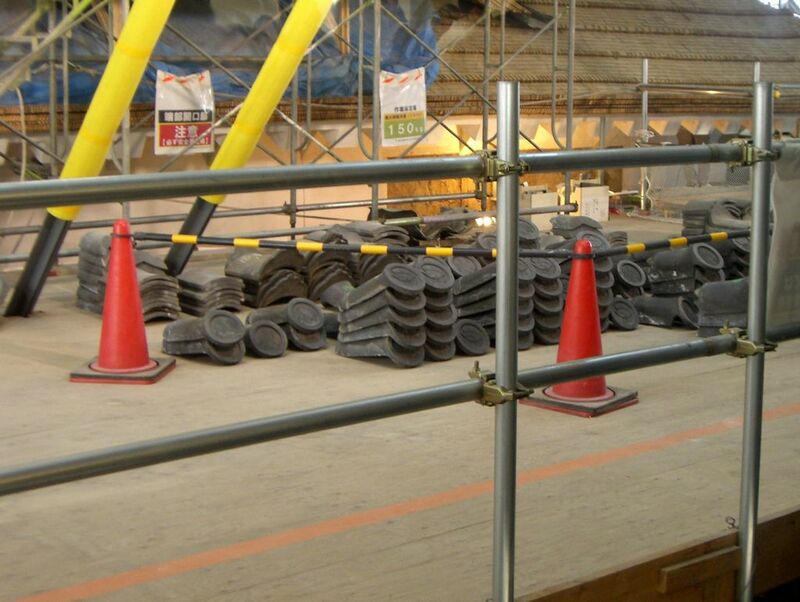 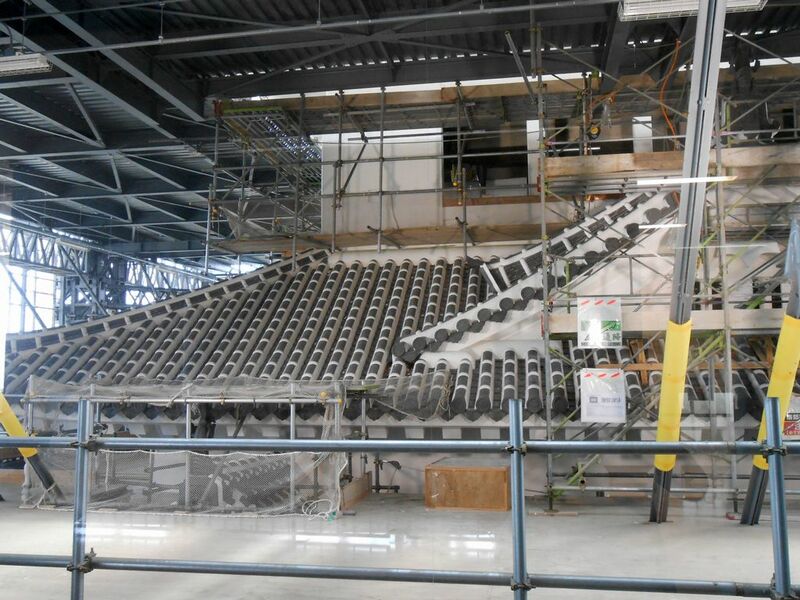 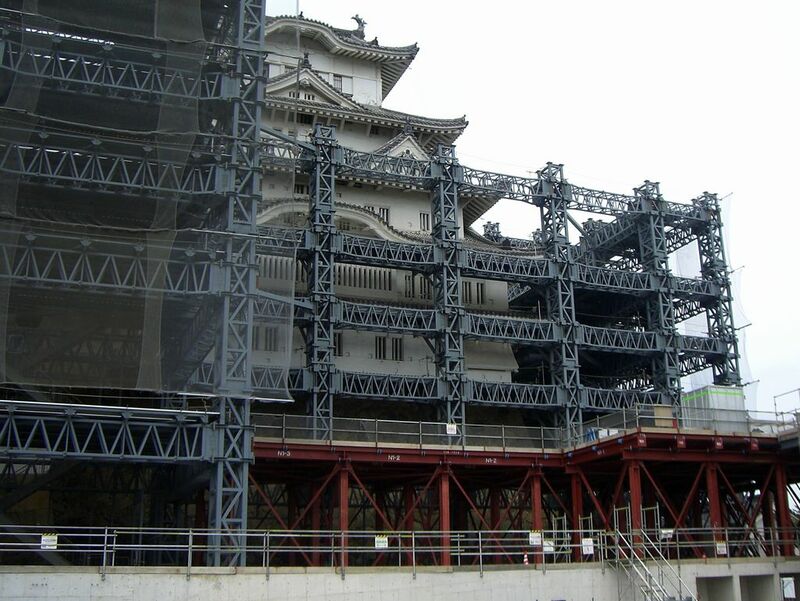 Scaffold cover covering the keep was installed special visitor facilities for the restoration. 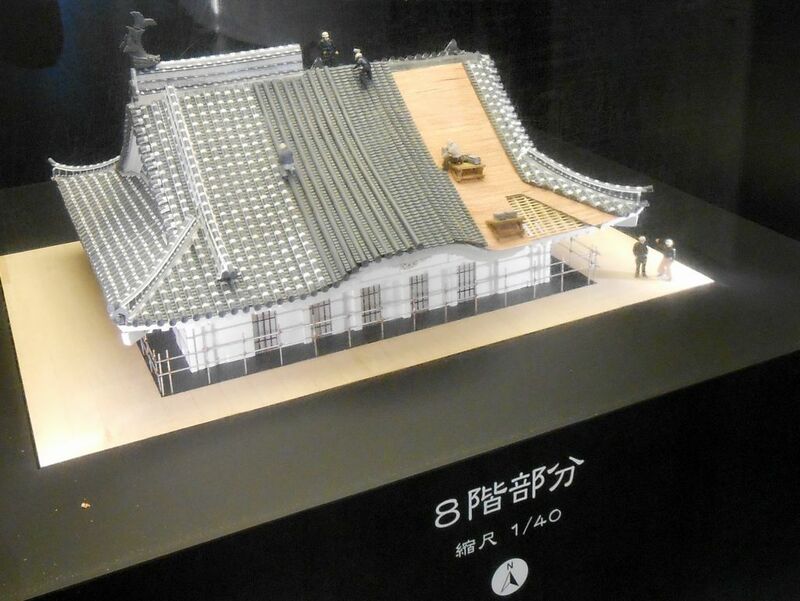 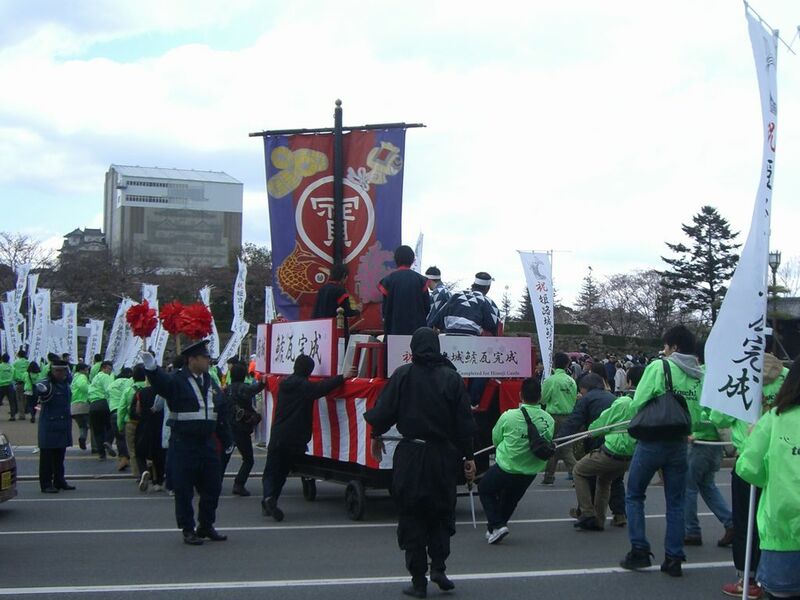 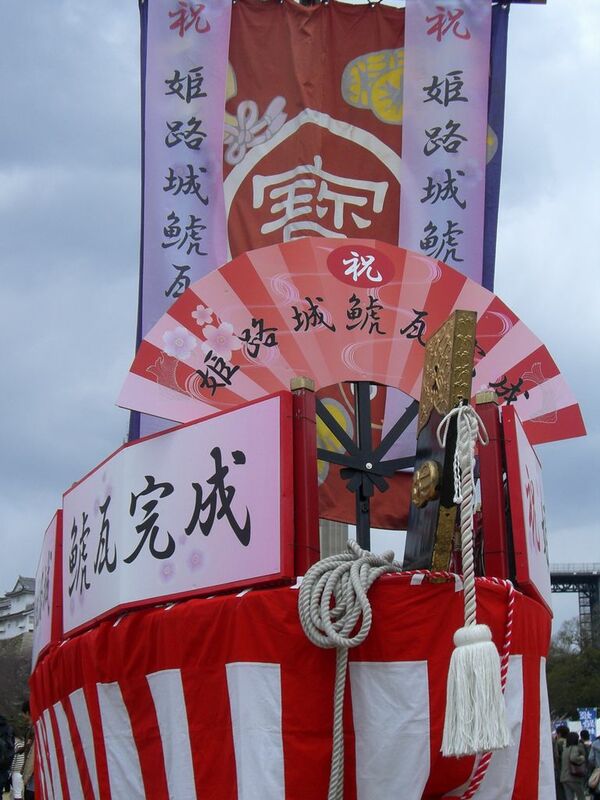 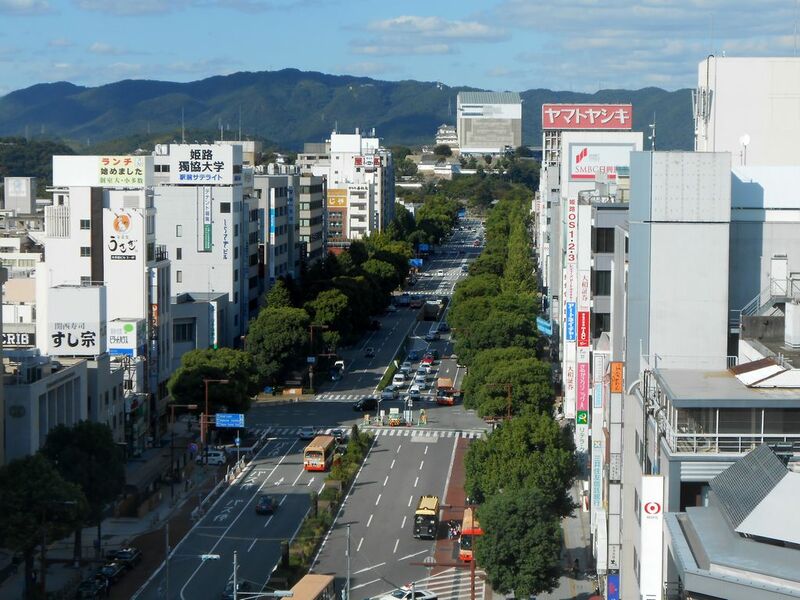 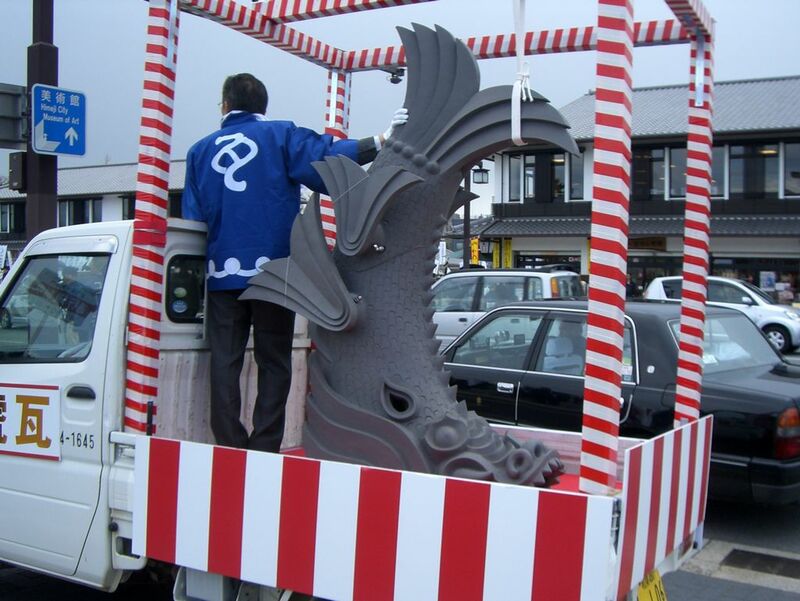 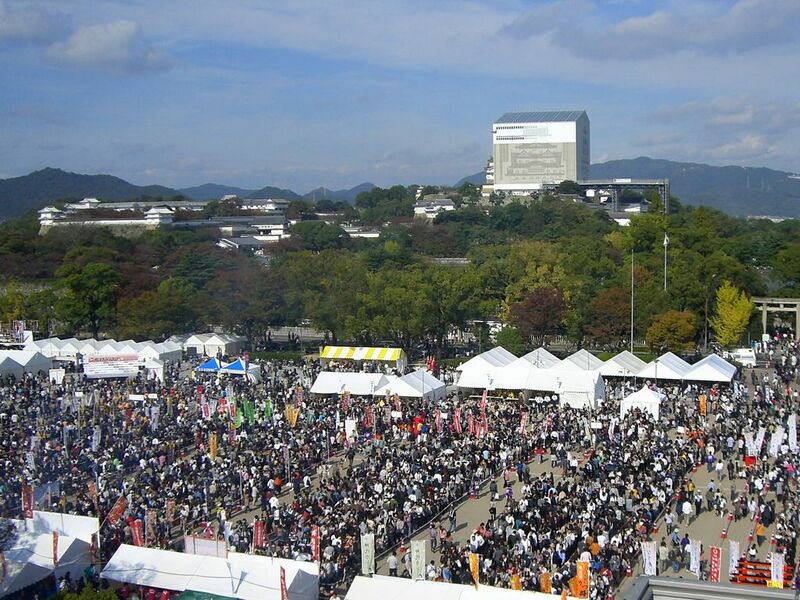 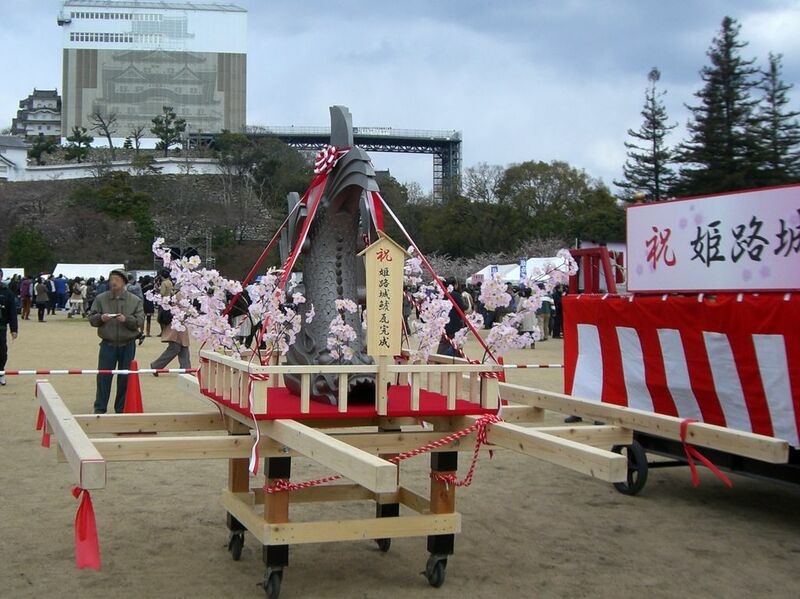 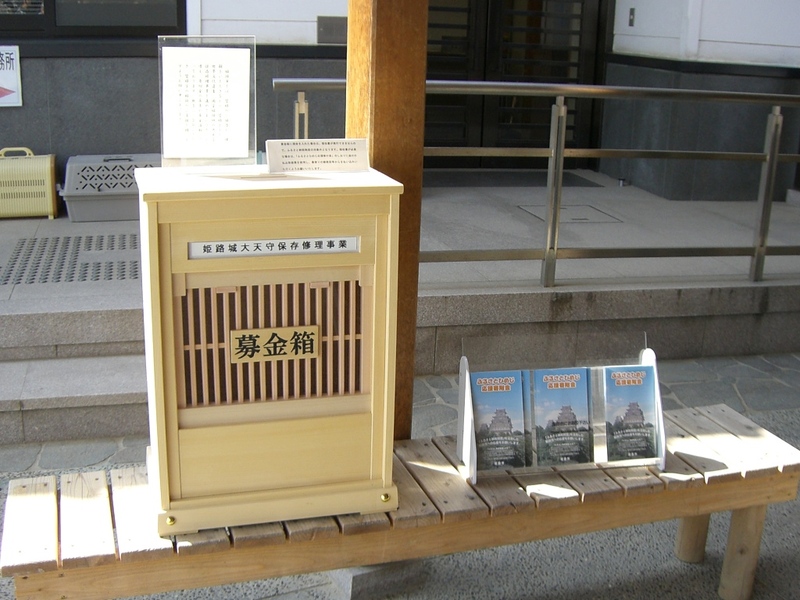 It was named "Egret's Eye View (Tenku no Shirasagi)". 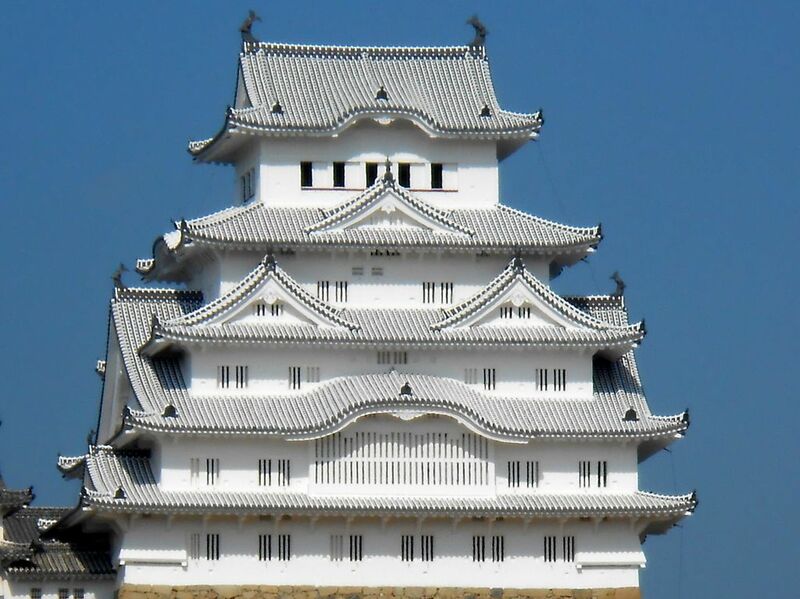 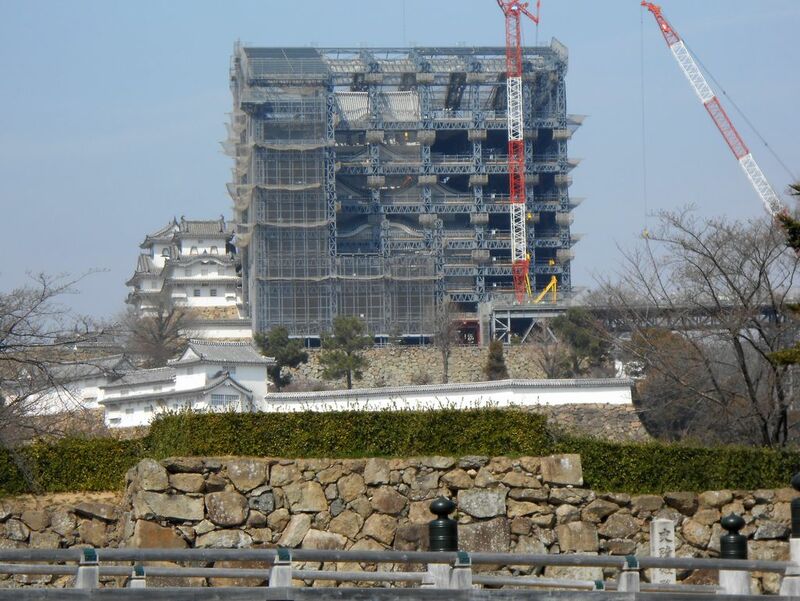 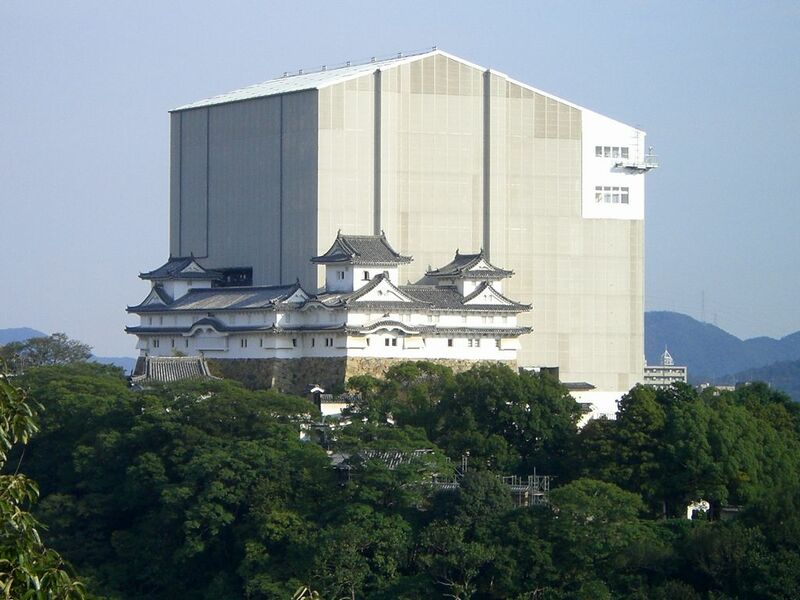 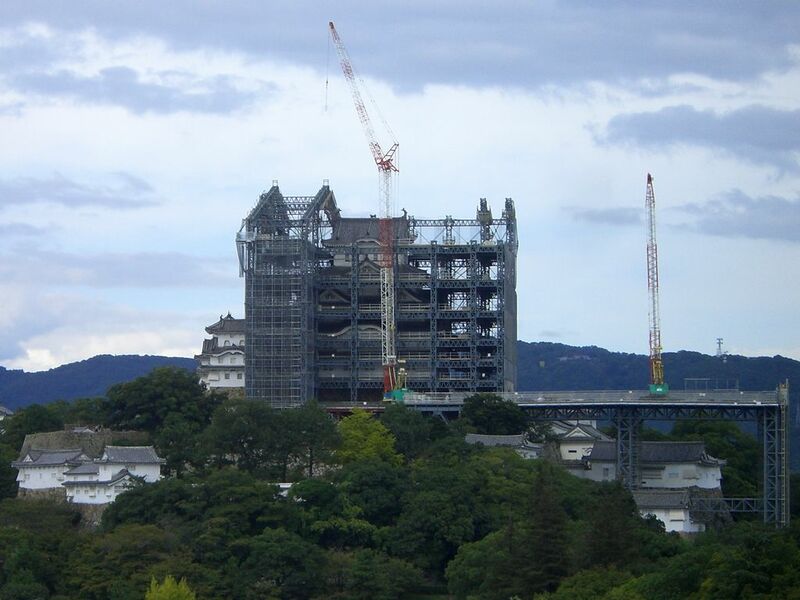 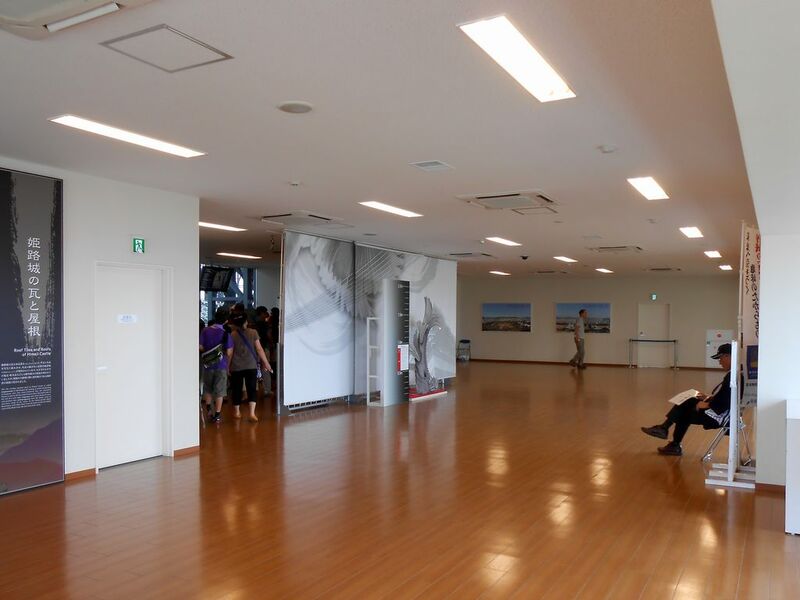 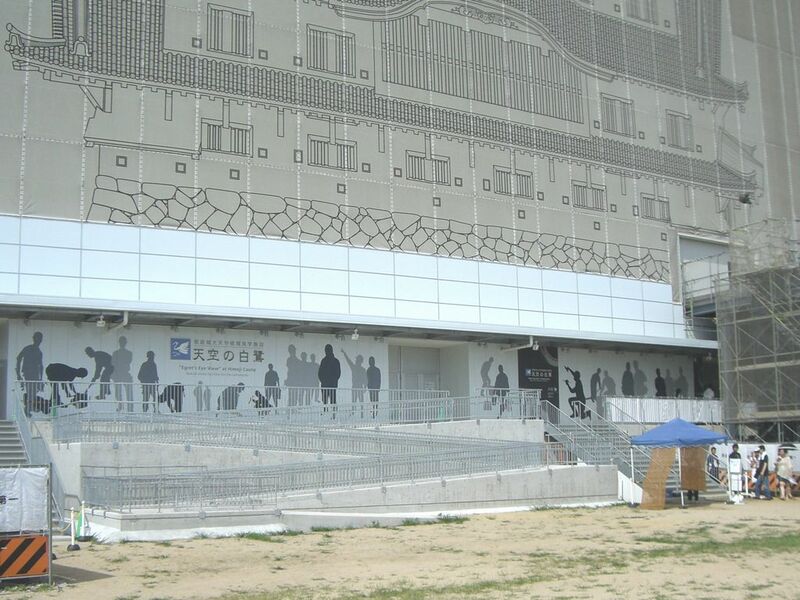 The newly refurbished main keep of Himeji Castle was really white. 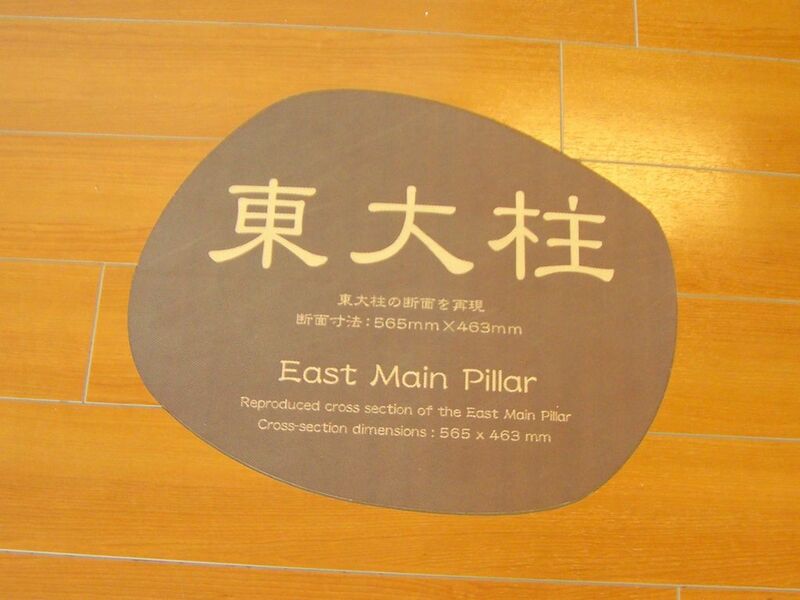 But plaster become dark due to the dirt and mold growth. 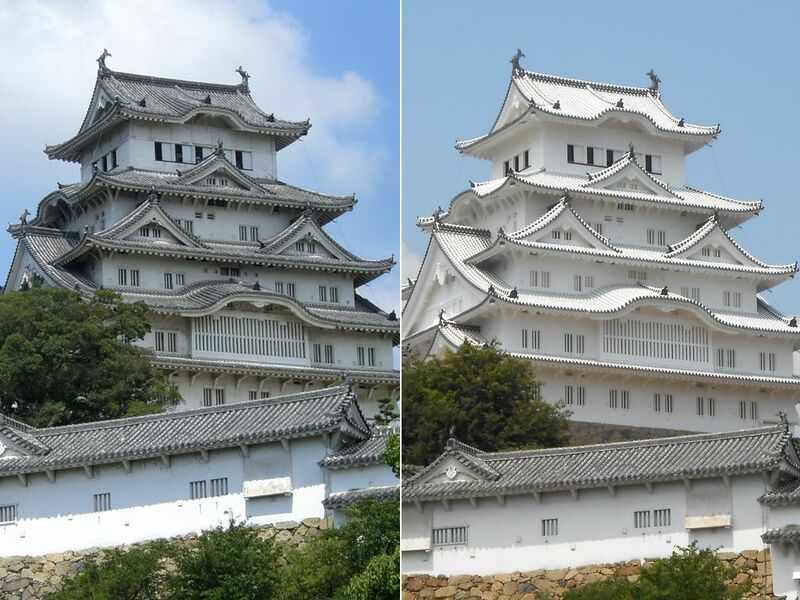 It is only a few years after renovation that you can see the snow-white castle. 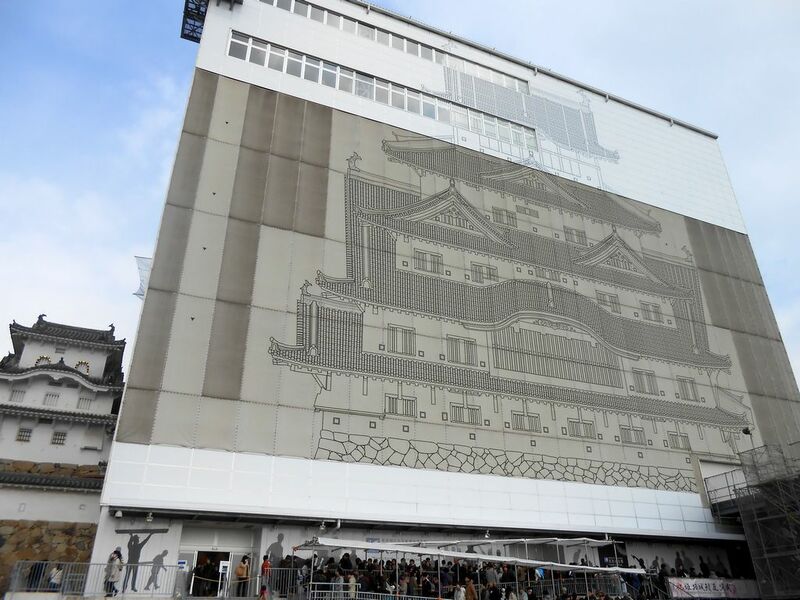 Copyright © 2019 HimejijoPic All rights reserved.